Growing up in Mayo, Ireland, Maria Kelly spent many years crafting and developing her sound into a delicate blend of atmospheric-alt-folk. First taking influence from the story-telling elements of Irish-trad, as well as artists like Regina Spektor and Lisa Hannigan. 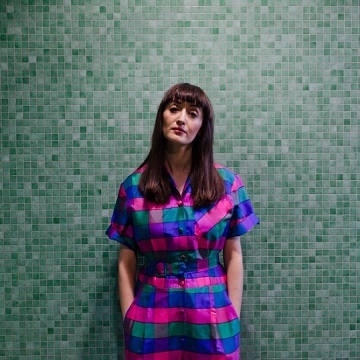 In 2016, Maria Kelly released ‘Stitches’ (Veta Records), praised by the 405 and quickly named one of ‘The 50 Best Tracks of 2016’ in The Irish Times. The track went on to garner an impressive 180,000 streams on Spotify. Maria Kelly was named one of ’50 People to Watch in 2017’ in The Irish Times, which was followed by the release of her debut EP, ‘The Things I Should’. The four track EP. Maria Kelly has played numerous shows in both the UK and Ireland supporting the likes of James Vincent McMorrow, KT Tunstall, Billie Marten and Paul Noonan, as well as playing at last year’s Great Escape Festival, Electric Picnic, Ireland’s acclaimed Other Voices Festival and most recently the Imagining Ireland shows in the National Concert Hall and the Barbican.